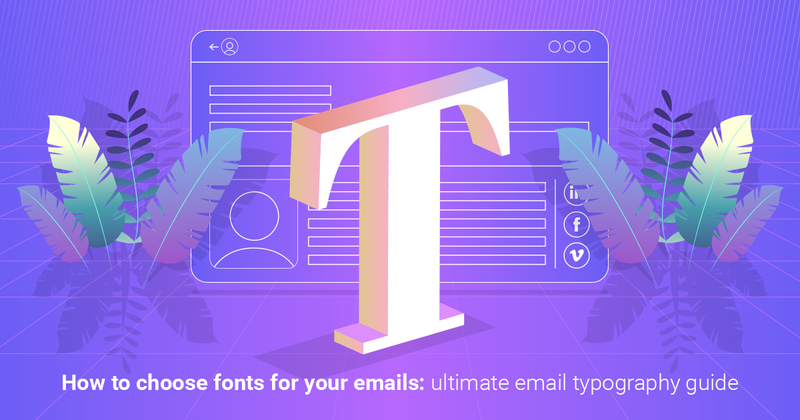 Why you need to use the same font in all emails? The main reason I’ve already mentioned is that all emails must be designed in the same style. In this way, your target audience will easier recognize your messages in their email accounts among all others. Make your brand distinctive! You should care about your clients and reach them out via good-looking and easy to read emails. Surely, first of all, you should write consistent content. But if this content is “packed” into a poor design, no one will read it. Correct fonts will help to draw attention and make recipients read your emails. It is one of the oldest fonts. It was commissioned by The Times in 1932 and belongs now to the serif typeface category. The main characteristics are tall lowercase letters and thin horizontal lines which make words easily readable. The font best suits formal email correspondence and is perceived as a delicate tone. Desire is one of the most beautifully designed fonts. It adds elegance to every email and makes it look visually pleasing. 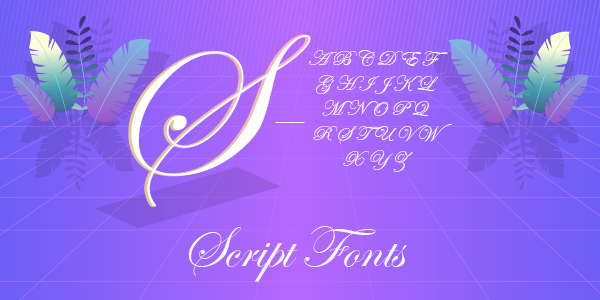 This font is perfect for email advertising, branding, and logos if you have such in your email. If your marketing strategy includes Christmas mailout, Desire is the best font to use in such festive emails. 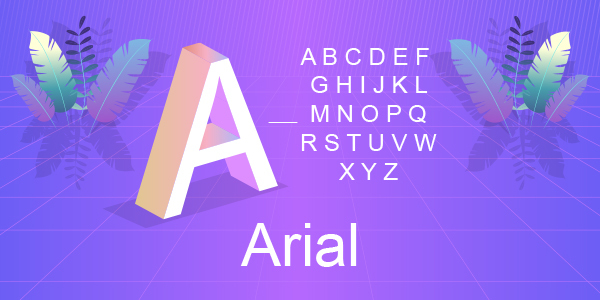 The Arial font was created in 1982. It is famous for being used in Microsoft and Apple operating systems. It is also a default font for mostly all email clients. Its main advantage resides in looking not that mechanical like other sans-serif family fonts. Arial can be used in semi-formal emails. It displays more modern and young approach than Times New Roman. These fonts look like handwriting. 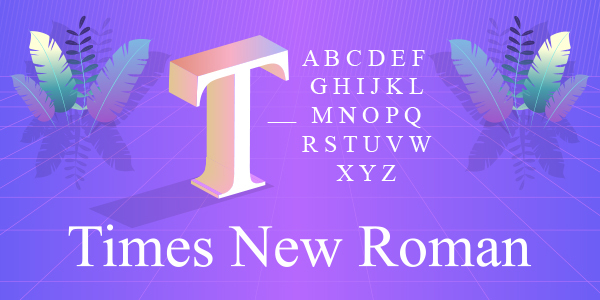 Compared to Times New Roman or Arial, they are informal and can be mostly used for decorations or headlines in your email. These fonts make your message look elegant and produce a feeling of happiness. When a recipient opens an email with one of the Script fonts, they associate it with something warm, beautiful and soft. The Verdana font was created by Microsoft in 1996. Texts on low-resolution screens were not properly displayed with existing fonts. That is why it was decided to design a new one. 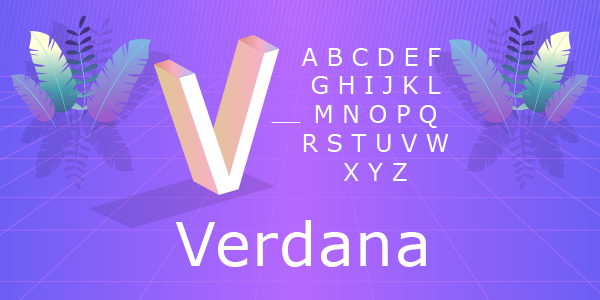 Verdana has tall and wide lowercase letters. It is used in semi-formal emails just like Arial. What is the purpose of your email? To provide information or sell something? Who is the target audience? What is their age and sphere of activity? What is the tone of your message? Friendly or formal? Once you know the answers to these three questions, you can determine the font which will be used in the emails.